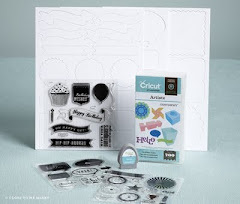 Crafty Happiness: Do Princesses Jump? We recently had my daughter's 3rd birthday party and I made the invitations, of course! The invitation text was printed on cardstock and slides into a pocket behind the white scalloped border. 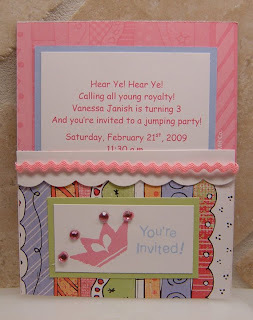 A jumping party with a princess theme? Hmmm.... do princesses jump?!?!? Well, mine did!